Beats Music, the streaming music service created by the headphone giant of the same name, will launch January 21 in an exclusive partnership deal with AT&T. For $14.99, your entire family (up to 5 members and 10 devices) can be a part of Beats Music, and that’s after you try the service for free for 90 days. With access to over 20 million songs and “a unique curated experience,” AT&T is telling you to download at will as well. They claim to have made Beats Music available on an unlimited basis (both streaming an downloading for offline listening) for AT&T subscribers. We’re not sure if this is their first sponsored data deal or something separate, but they are making this sound as if your tiered data plan is unaffected by the service. If you are an individual, you can access Beats Music on up to 3 devices for $9.99 per month. 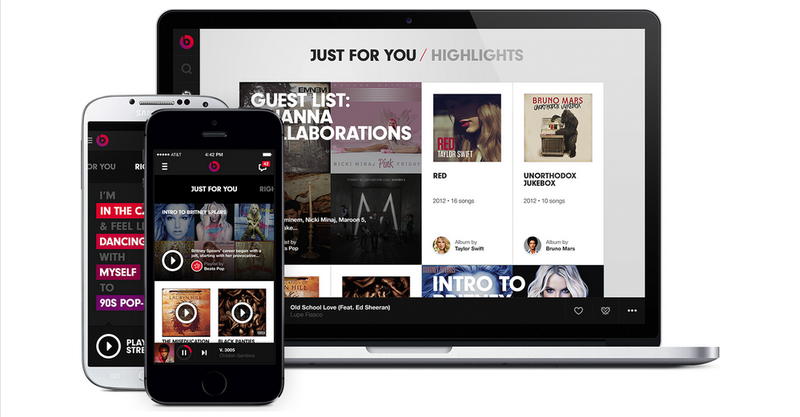 So what is Beats Music and why should you consider it? We wanted to build a music service that combined the freedom of an on-demand subscription service – unlimited, uninterrupted streaming and downloads of tens of millions of songs – but layer on top features that would give you that feeling only music that moves you can give. The right song at the right time will give you a chill. Make you pull someone close. Nod your head. Sing in the mirror. Roll down the car window and crank the volume to the right. The Beats Music team put together curated playlists by industry big wigs, wants there to be music on-hand with the touch of a button for your mood or situation (open the app and hit “Play”), has lists of programmers’ picks, and yet still lets you create your own playlists or download music for offline listening. I’d say that’s pretty standard streaming music stuff, although, with the backing of major industry players and their “Highlights” section, which allows you to tell Beats Music to play something based on your mood or location, that it offers at least a couple of new wrinkles. The music service will be available on Android, iPhone, and Windows Phone on January 21. Be sure to claim your username if you haven’t already.